Tiny House Roadshow headed to Menlo, Ga. This tiny house has one slide-out, similar to styles found in RVs to add space to tiny areas. The Tiny House Roadshow is coming to Menlo, Ga., atop Lookout Mountain Friday-Sunday, May 19-21. Show hours are 11 a.m. to 6 p.m. CDT each day. This event is a departure for Tiny House Roadshow as it will be held on location at Little River Escape, 11987 Highway 48. The 25 to 30 tiny houses and not-so-tiny houses will be displayed on wooded lots instead of in a trade-show format as most shows have been. 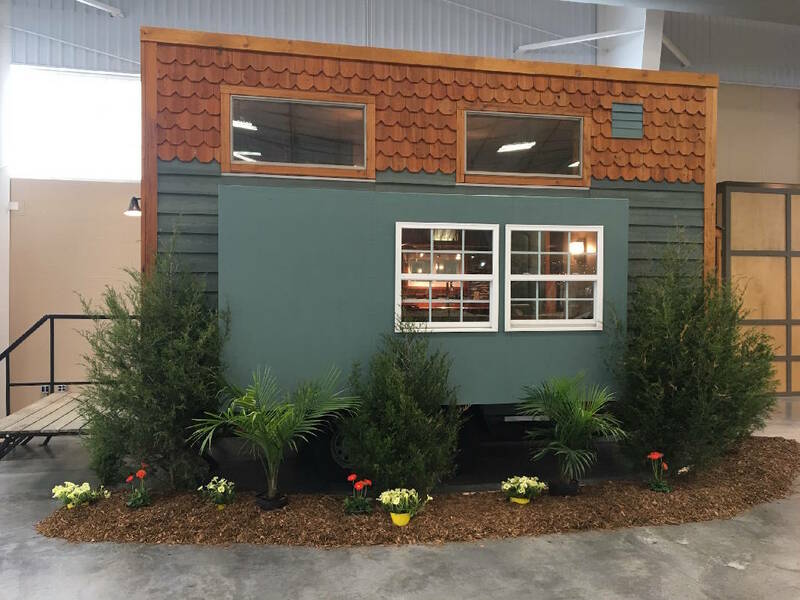 The Roadshow is the creation of tiny-house designer and builder Dale Geist of Livingston, Tenn. Geist, who works alongside his sons, Scott and Jesse, founded Tiny By Design in 2014. Interest in his work has been fueled by the many programs now seen on HGTV and other channels. HGTV filmed Geist's work last year for a segment that is still being broadcast on demand (Tiny House Hunters, Season 2, episode 10). Geist realized in his research of tiny-house living that a large segment of the population was being overlooked. It wasn't just young people desiring the simple lifestyle, but baby boomers seeing the benefits of downsizing their possessions and lifestyle. To appeal to this older group of Americans, Geist designs tiny houses with first-floor living — no climbing ladders to go to bed at night. He also adds expansion slides to his designs, for those who want a little more space. "The tiny house movement is one of the hottest trends in America," said Geist. "It is popular among people from all walks of life, young-to-old, rich or poor. It is a cross-cultural phenomenon that is sweeping the country." Tickets to Tiny House Roadshow are $15 for ages 12 and older; or purchase in advance online for $12. For more information, visit www.tinyhouseroadshow.com.